Our Sports Medicine Specialists have been trained in the finest institutions in the country. They have studied and acquired the most advanced techniques and have the most advanced technology at their disposal. Whether a professional career is in your future, or you just want to make it off the injured list and back in the game, AOC will provide you with a sports medicine specialist will be your primary physician from your first visit until you're back in action. This continuity in care is supplemented by the collective knowledge of 20 consulting orthopedic specialists, including physical rehabilitation and pain management physicians. Our state-of-the-art facility includes an outpatient surgery center, and Altaire Open MRI - the most accurate available, advanced digital x-ray, a Dexa Bone Density Scanner and a complete physical therapy clinic staffed by a team of certified physical therapists. 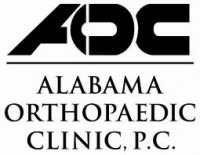 From expert surgery to innovative therapy, AOC's Sports Medicine Specialists provide our patients the care they expect from the area's finest orthopedic group.